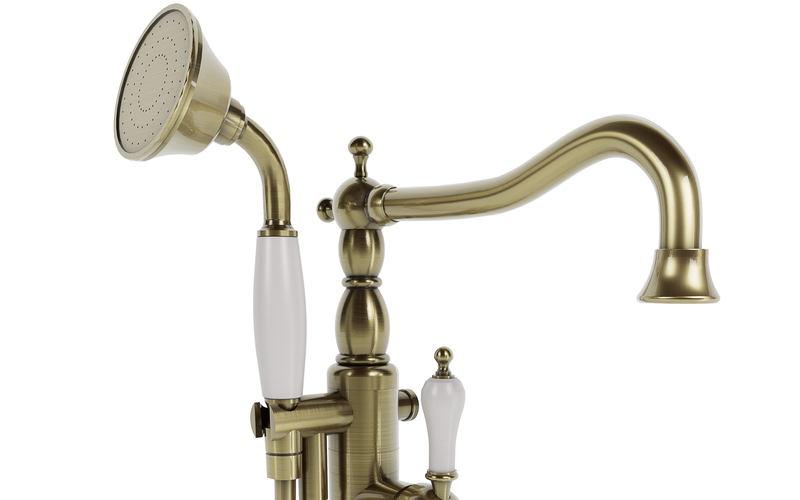 This classical and traditional Aquatica Caesar Faucet has been designed with an old-world feel to it, but also, with an alluring and contemporary engineering style. Constructed in Italy, this floor mounted tub filler is easy and quick to install and allows you to have ample space to lounge in your bathtub. The nifty handheld shower attachment is a beautiful addition, which will allow you to clean more targeted areas, unlike a fixed showerhead. 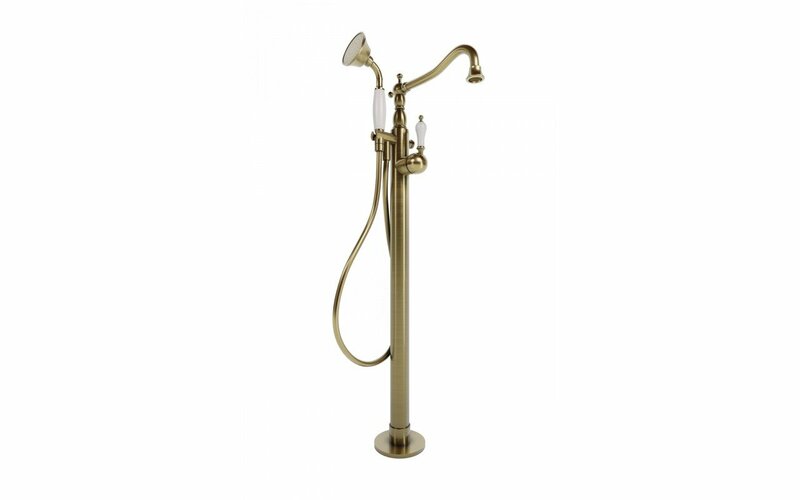 Due to the upscale design of this faucet, it also has a backflow preventer and has been constructed with solid brass, giving it that timeless bronze color, but is also available in chrome.